Recently, checking my mailbox is somewhat like Christmas morning. I have recently signed up for Birchbox, Love with Food and Cravebox. I seriously have no self control for these surprise boxes that will be coming to my house every month. Not to mention I am part of Foodie Penpals! The larabar was a nice surprise as I wasn't expecting food and I love Larabars. I received a full size Sumita Brow Base pencil (valued at $11). This pencil is pretty awesome. It conceals discoloration and any stray hairs in your eyebrows. I also received a sample of Beauty fixation makeup removers. This is one of those moments you think to yourself - why didn't I think about inventing that? Three pre-filled swabs which allow you to correct even the tiniest beauty blunders in seconds, the powerful makeup remover completely erases stubborn mascara and liner. Slip them into you purse or pocket for quick touchups! I received a sample of Viva la Jucy La Fleur which promptly found a new home in my purse. But my favorite item? 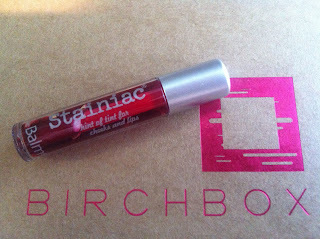 A full sized Stainiac by the Balm (valued at $17) A two-in-one lip and cheek stain gives a natural, understated flush. The tinted gel leaves a lasting stain on lips and cheeks. There is a small wait list for Birchbox. It took about two weeks to get accepted after I submitted my information. If you like getting presents in the mail, the $10 is well worth it. 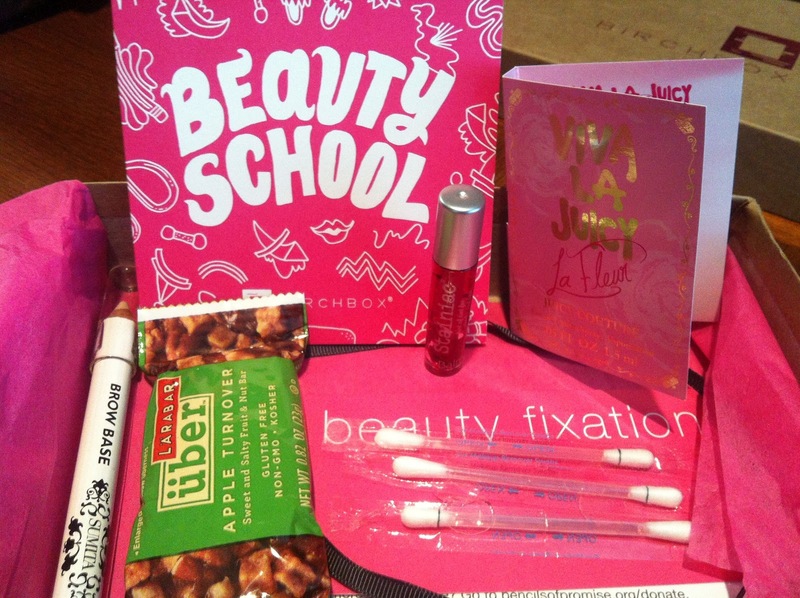 My box had $27 of full size beauty products in it, along with the yummy larabar and a perfume sample. Winner! 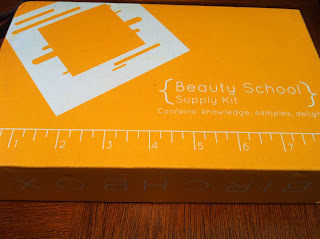 If you are interested in getting your own Birchbox, click here to add yourself to the wait list. I got my first birch box this weekend! Wow... a gift to myself. ;-) I've received two Love with Food boxes and have never heard of crave! I'm gonna have to check that out! I got accepted for a Crave beauty limited edition box last night, I think they are still accepting applicants so go check it out. I can't wait for it. Looking forward to my first Love with Food box! I used to neglect going to the mailbox but like I mentioned above, it is like Christmas! You never know what you are going to receive on a daily basis. I'm so glad you liked your first box! I always like seeing what other people receive...my box had almost completely different contents, aside from the perfume! You got a good Birchbox! Wait till you see your love with food box! Awesome!